We believe progress happens when people connect, share their aspirations, take action based on their strengths, and own their challenge. 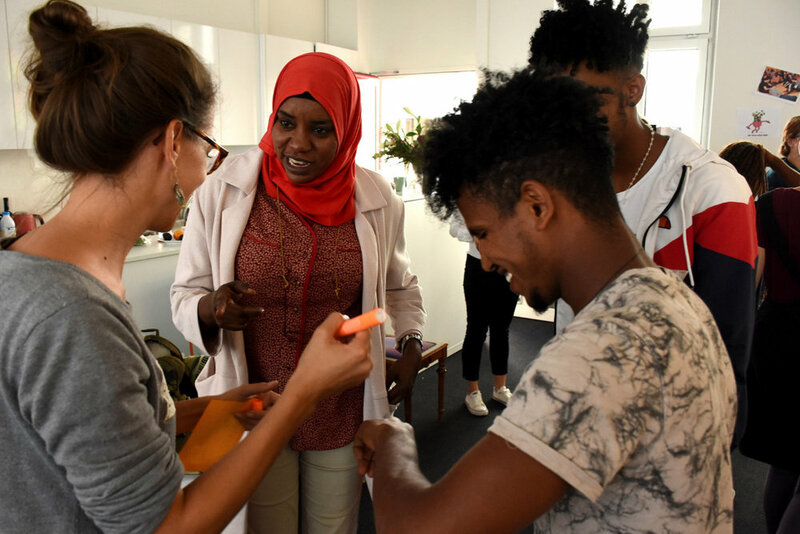 Refugees/immigrants face several challenges, among others inclusion to the Swiss society and culture, understanding the system in Switzerland, integrating to the job market and learning the local language. That is why we are committed in supporting refugee/immigrant communities to think and act for and by themselves. Communities have the capacity to respond when they own the issue they struggle with. That capacity remains to be revealed and nurtured. Hence, we joined forces with the Constellation to co-create our new community imp!act program - a strength-based participatory approach using non-formal education. community imp!act should not prescribe solutions, but should rather increase self-confidence of the (refugee) community members to create their own action plans. Based on the Constellation’s Community Life Competence Process (CLCP) and euforia’s imp!act training we want community imp!act to be a 3-day workshop, where communities identify their common challenges, brainstorm solution ideas, put them into concrete project action plans, test them right away and receive feedback and support from experts. 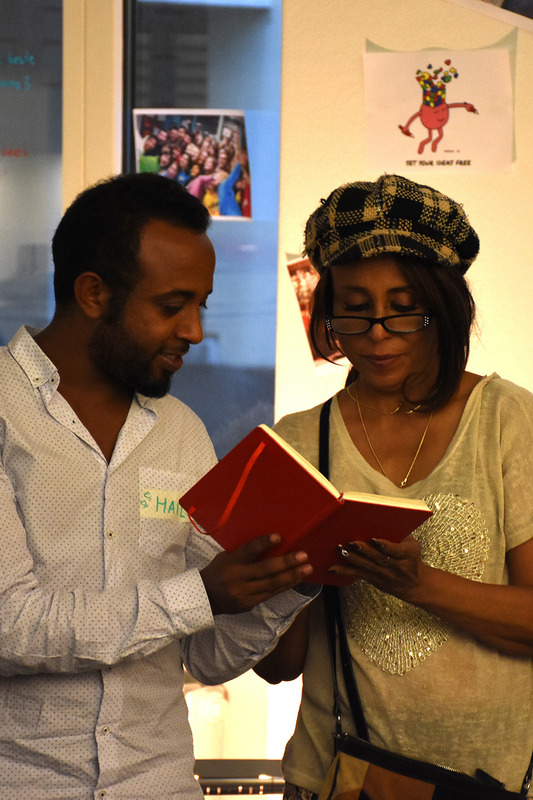 The first community imp!act pilot will be organised by and for the Ethiopian and Sudanese communities in Zürich on 19. - 21. April 2019. انت الصانع ولكنك لأتعرف.التغير الحقيقى فقط عندما ينبع من الداخل، نعتقد التقدم يحدث عندما الناس تتواصل وتتبادل تطلعاتهم. اتخاذ الإجراءات استنادا الى نقاط القوة لديهم، والخاصة بتحدياتهم . اللاجئين / المهاجر ين يواجهون العديد من التحديات. الاندماج فى المجتمع السويسري والثقافة ، فهم النظام السويسري . اندماج فى سوق العمل السويسري . تعلم اللغة المحلية هلم جرا. هذا هو السبب نحن ملتزمون فى دعم اللاجئين ومجتمعات المهاجرين فى زيورخ للتفكير والعمل من اجل، وبأنفسهم . المجتمعات لديها القدرة للرد عندما يملكون القضية الذى يكافحون معه. هذه القدرة لايزال يتعين الكشف عنها ورعايتها . بالتالي فإننا نسعى لمرافقتهم اى اللاجئين وهى تمض على الملكية لتحدياتها . السيترة والعمل عليها. تأثير المجتمع هو ورشة عمل لمدة بين ٣ الى ٥ ايّام حيث تتعرف المجتمعات على تحديتها المشتركة. فكرة حل العصف الذهني ووضعها فى خطط العمل الملموس واختبارها على الفور. ٥- أسباب لماذا يجب عليك المشاركة. ١- اكشف انت والمجتمع الخاص بك المُحتملة . ٢- تعلم التصرف من قوتك وقوة مجتمعك. ٣- تعلم كيفية إعداد المشروع الخاص بك أو المجتمع. ٤- العمل مع الخبراء عبر مختلف التخصصات وجمع الخبرات القيمة. ٥- تطوير الكفاءة فى الاتصالات ، بناء فريق وتطوير المشاريع.